Barcelona is a cosmopolitan city, which the Mediterranean opens to the rest of the world, establishing a bond with other cultures and producing a history marked by diversity. Barcelona is the capital of Catalonia as well as a city with an essentially Mediterranean culture and history. See our fleet of car hire in Barcelona and enjoy your car hire in Barcelona. 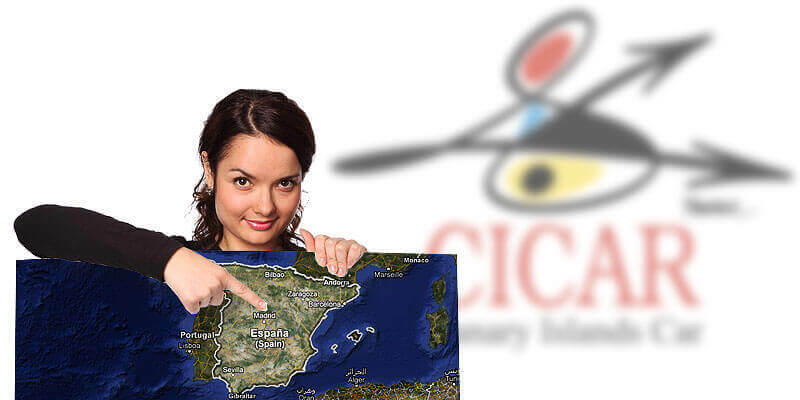 Enjoy the CICAR quality of service and satisfaction guarantee anywhere in Barcelona. By renting a vehicle from Cicar, users will receive a audio guide of Barcelona*, containing descriptions of places of tourist interest around Barcelona. Your car hire company in Barcelona and all the Canary Islands.